Using the Keck Observatory telescopes, researchers were able to measure Segue 2. The findings suggest that it is the least massive galaxy and one of the faintest galaxies known, with a light output just 900 times that of the Sun. 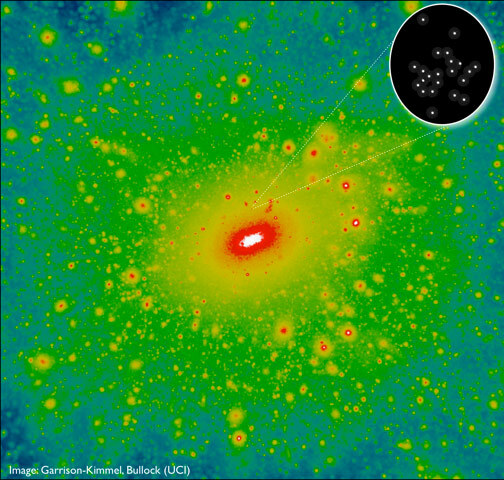 Kamuela, Hawaii — The least massive galaxy in the known universe has been measured by UC Irvine scientists, clocking in at just 1,000 or so stars with a bit of dark matter holding them together. The findings, made with the W. M. Keck Observatory and published in The Astrophysical Journal, offer tantalizing clues about how iron, carbon and other elements key to human life originally formed. But the size and weight of Segue 2, as the star body is called, are its most extraordinary aspects. Segue 2’s presence as a satellite of our home galaxy could be “a tip-of-the-iceberg observation, with perhaps thousands more very low-mass systems orbiting just beyond our ability to detect them,” he added. “It’s definitely a galaxy, not a star cluster,” said postdoctoral scholar and lead author Evan Kirby. He explained that the stars are held together by a globule called a dark matter halo. Without this acting as galactic glue, the star body wouldn’t qualify as a galaxy. Segue 2, discovered in 2009 as part of the massive Sloan Digital Sky Survey, is one of the faintest known galaxies, with light output just 900 times that of the sun. That’s miniscule compared to the Milky Way, which shines 20 billion times brighter. But despite its tiny size, researchers using different tools originally thought Segue 2 was far denser. “Keck Observatory operates the only telescopes in the world powerful enough to have made this observation,” Kirby said of the twin, ten-meter telescopes housed on the summit of Mauna Kea in Hawaii. He determined the upper weight range of 25 of the major stars in the galaxy and found that it weighs at least 10 times less than previously estimated. Fellow authors are Michael Boylan-Kolchin and Manoj Kaplinghat of UC Irvine, Judith Cohen of the California Institute of Technology and Marla Geha of Yale University. Funding was provided by the Southern California Center for Galaxy Evolution (a multicampus research program of the University of California) and by the National Science Foundation. The W. M. Keck Observatory operates the largest, most scientifically productive telescopes on Earth. The two, 10-meter optical/infrared telescopes on the summit of Mauna Kea on the Island of Hawaii feature a suite of advanced instruments including imagers, multi-object spectrographs, high-resolution spectrographs, integral-field spectroscopy and a world-leading laser guide star adaptive optics system. The Observatory is a private 501(c) 3 non-profit organization and a scientific partnership of the California Institute of Technology, the University of California and NASA. 1 Comment on "Keck Observatory Measures Segue 2: The Least Massive Galaxy"
Excellent! the all powerful Dark Matter clumps holds just 1000 odd stars to form a galaxy. I had been telling in my articles that Dark Matter can be found inside at the center of galaxy. For Milky Way you can look at constellation Scorpio’s cruve for it. But near the sun it is not found. It is a great adhesive for galaxies as a whole. The fact that Dark Matter floats as clumps in a galaxy is interesting. Who is braking the Dark Matter? Thank You.